Printmaking is the bomb when it comes to art processes. 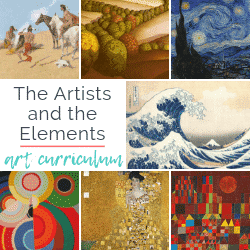 There are SO many ways to do it that range from process art made with materials nabbed from the recycle bin to processes that require a lengthy list of expensive supplies and a highly skilled artist. This linocut portrait falls somewhere in the middle. Ya’ need a little “stuff” but the process and result are SO worth it! Lino cuts are a shortened name for linoleum cuts. Linoleum printmaking involves using a sharp carving tool to carve bits of the printing plate, or linoleum away. The carved printing plate is then rolled with printing ink resulting in a bold, textured print. If you or you student is inexperienced in linocuts I recommend starting with this linocut project. 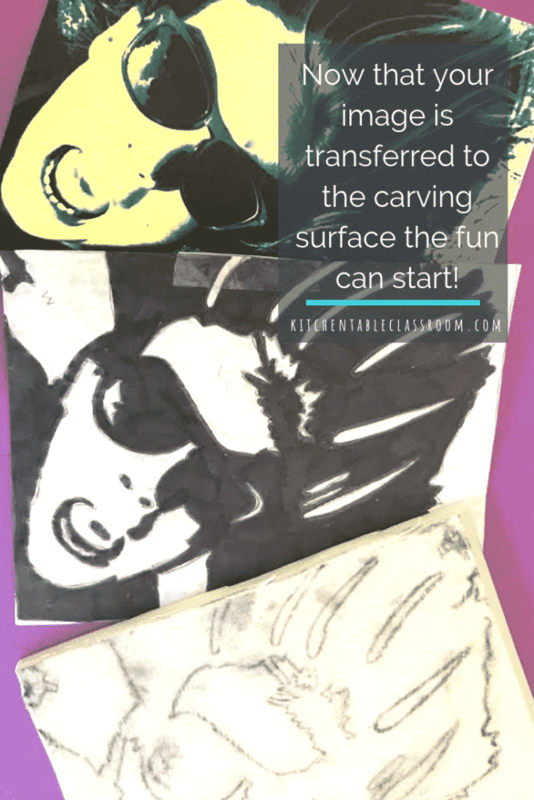 It takes a super minimal amount of supplies and will help you get the basics of carving linoleum under your belt before diving into a more in depth project. It takes a bit of time to get the hang of the linocut carving tools so it won’t hurt to start with the basics. The materials list is relatively short and the tech skills are SO manageable. The finished project, thanks to our old friend technology, gives a bold, sophisticated look that tells another story. I got everything for this project in one neat little kit. This Speedball Printmaking kit includes everything for this project and dozens more. 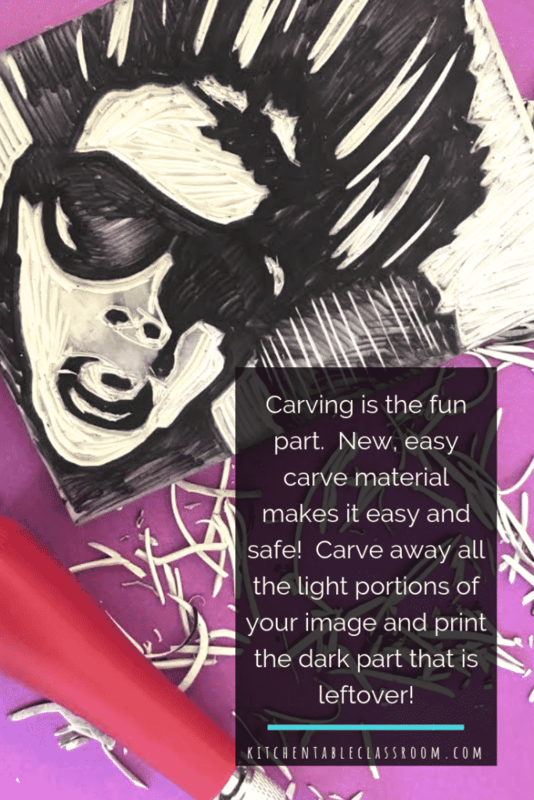 The kit includes black ink, a brayer, a carving tool with three different sized blades, and carving material thick enough to be carved on both sides! This is a process I didn’t get to experience till I got to high school but is so do-able at home with these materials! This is an important one. Choose a photo that has bold contrast. I love a picture that shines with personality. We aren’t looking for a Sears portrait today. Top quality resolution isn’t a necessity here. We will be manipulating color, contrast, and cropping so even a cell phone pic will do just fine. It wasn’t long ago that I shied away from technology of every sort. 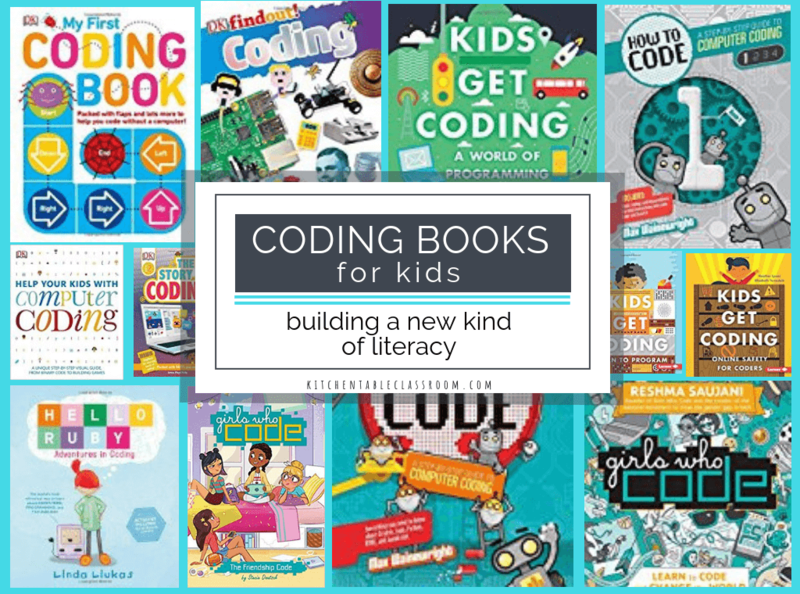 But lately I’ve been digging finding new ways to use it in our homeschool and my life as a blogger. I’ve seen many a tutorial for reducing photo images to two or three values but most use expensive computer software that your average Joe just doesn’t have access to. 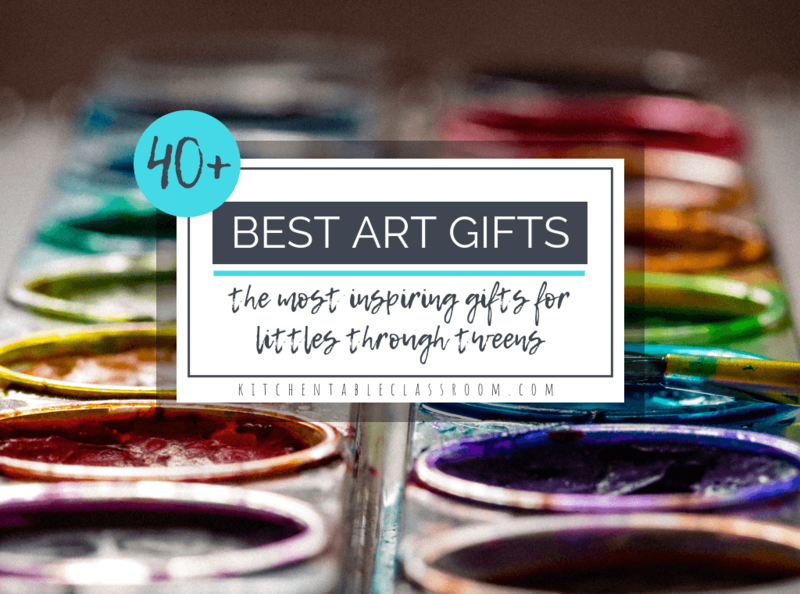 If you’re teaching art at home or with a minimal budget that kind of thing is out of reach. Canva is a free design software accessible from any computer. It’s intuitive, easy to learn, and did I mention free? 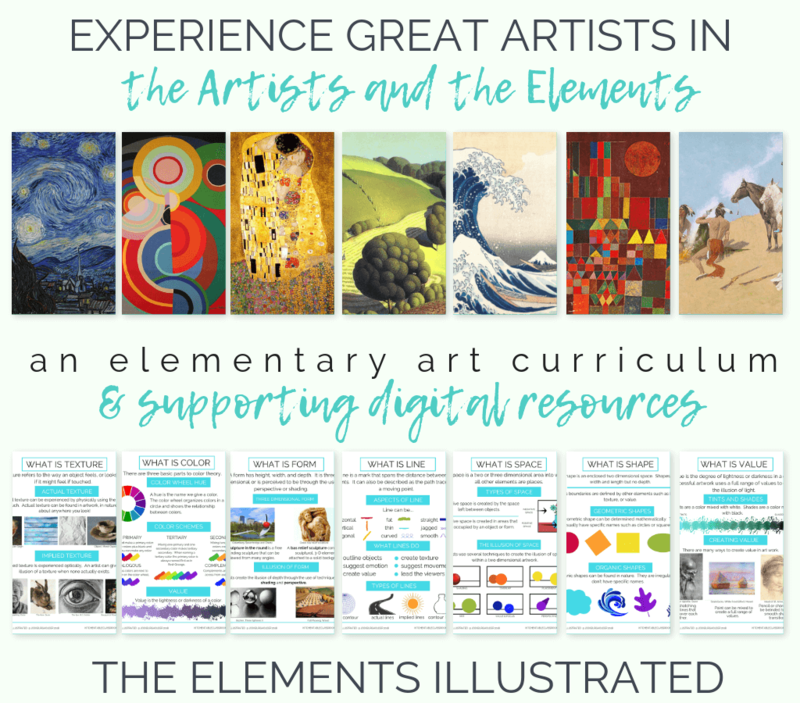 Access Canva here and set up a free account to get started. 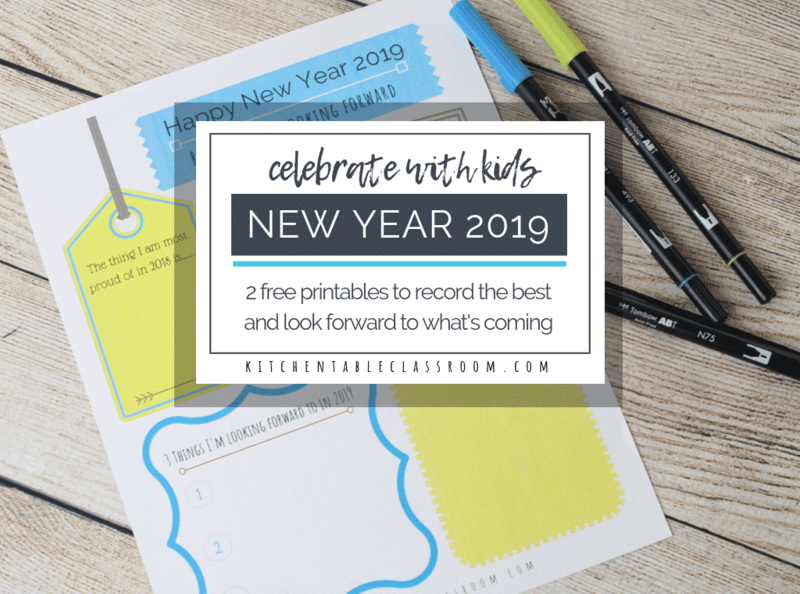 Canva is an awesome free option that can be mastered by anyone, even me. Take some time to play with it and see what it can do. But for now here are step by step directions to take your picture from your phone to printmaking ready! Using the vertical menu to the left choose the green “Upload your own image” button. Drag your chosen image to the image workspace. Adjust size of your image to fill the space. Go filter and choose the “grayscale” filter. Move both contrast and X process to 100. Click download to save the image to your device. Print your image in whatever size you choose. 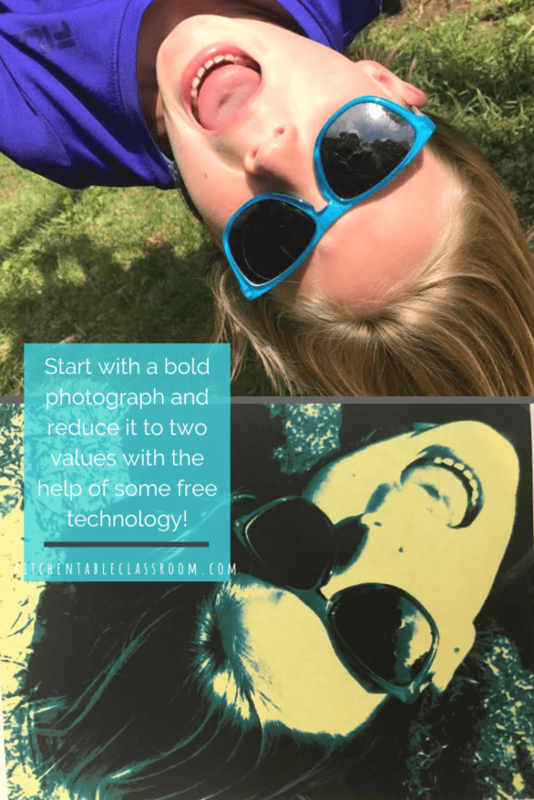 Once you have printed out the edited version of your pic you’re ready to further reduce the values. This part is less tech-y and pretty bare bones. 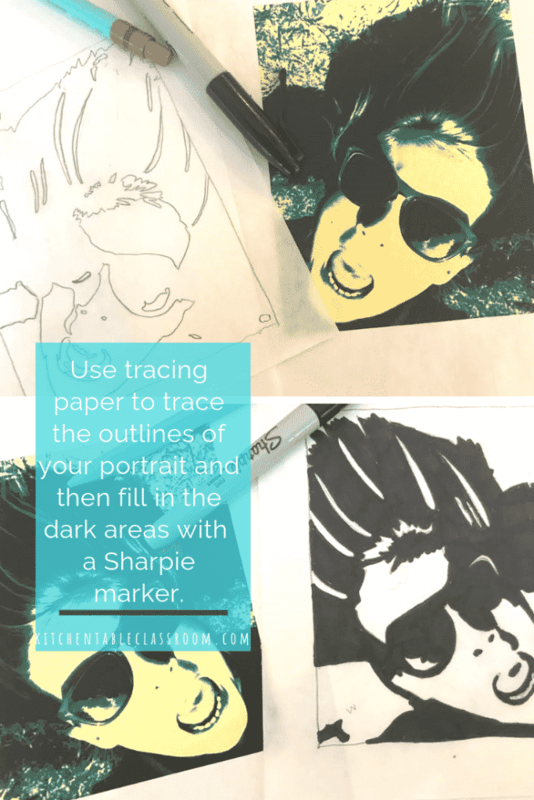 Tape a piece of tracing paper over your photo. Trace each outline with a pencil. Then use a Sharpie to color in dark areas, leaving light areas plain. You will be carving away all the light areas. Color the dark areas solidly to help identify areas to be carved away and areas which are to remain during carving. I did this old school. On the back of your Sharpie drawing color with pencil; color solidly anywhere there is a line you will be tracing. Flip Sharpie drawing over and tape to linocut carving materials. Tracing all outlines will transfer some of the pencil lead to your linocut material. All of this scribbling could be avoided with some graphite tracing paper. You can use this stuff over and over; it lasts forever. But, alas, I had none. Don’t let that stop you! 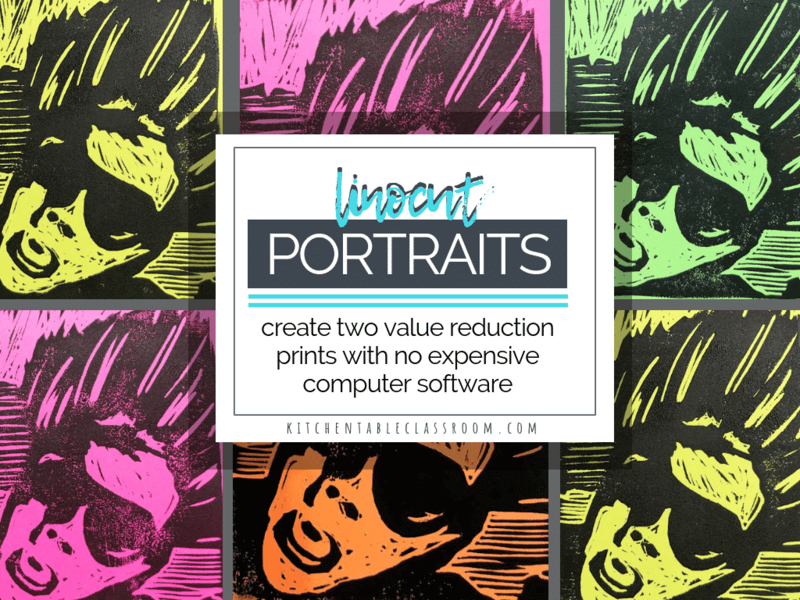 Color on your linocut printing plate…. Go ahead and fill in the black areas of your linoleum with your Black Sharpie. Is it necessary? Nope, not really. But once you start carving it will help you keep straight which areas to carve away. It can get a little crazy once the carving tool comes out. And because coloring is therapy, right? Yay, the fun part is here! Linocuts are so much easier and safer to carve with this new, soft carving material. Past generations of printmaking linoleum were hard, grey sheets that were nearly required lots of muscle to carve. This new pink version is more like the texture of an eraser. Because it’s soft and requires less pressure the carving tool is much easier to control. As always follow all safety precaution that are stated in the directions for your carving tool. It is essentially a little “v:” shaped knife that will carve away skin just like it will linoleum. Carve away all the uncolored portions of your image. 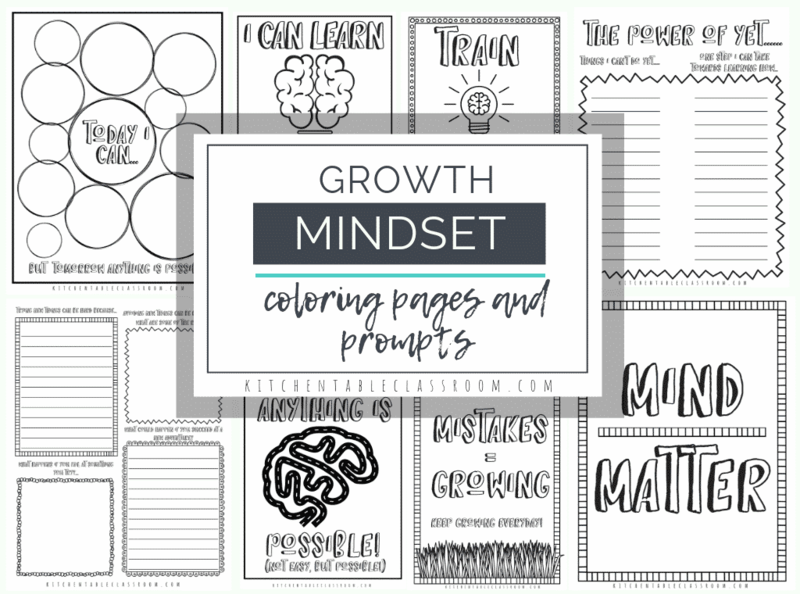 Ink that printing plate up and print away. 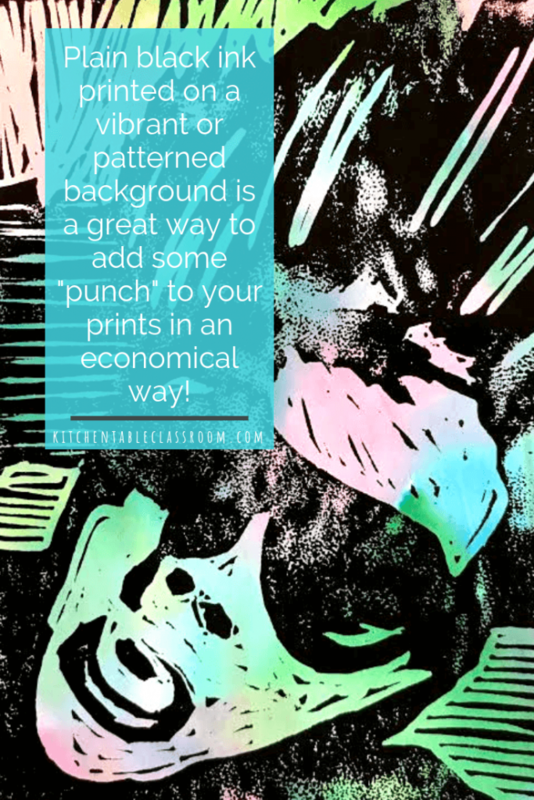 For a step by step walk through of the inking and printing see this intro to linocut art post. We printed using only the black ink that came with our printmaking kit. If you love the process and want to explore further there are amazing colored inks that open up even more possibilities! 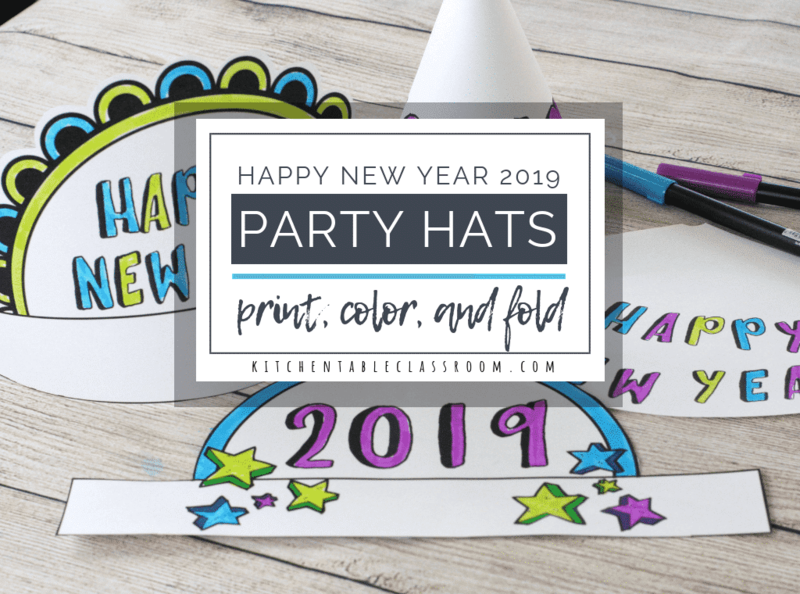 Printing on colored paper or even on top of other artwork provides unlimited possibilities even using only one color of ink! The above print is done on a background of tissue paper painting. Check out that fun process here. 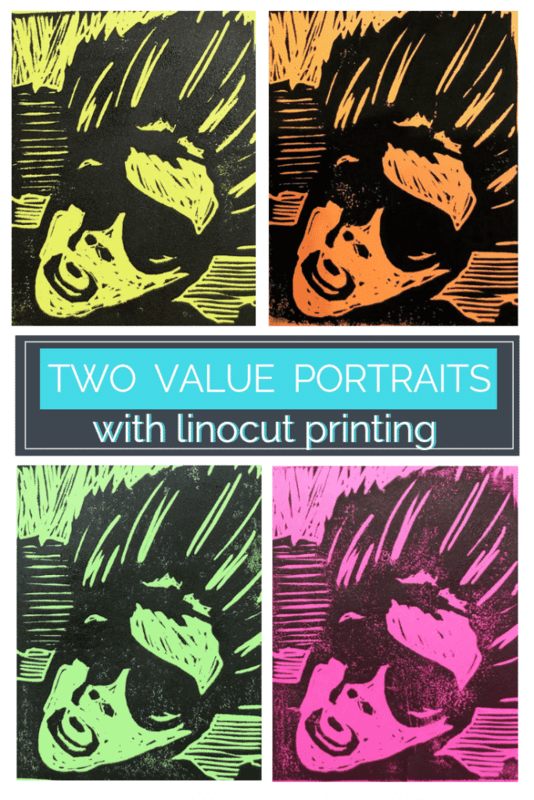 If you enjoyed learning about linocuts please share this post!